Dr. Allan J. Hamilton is a highly sought after speaker in the field of health, spirituality and wellness. A Harvard trained brain surgeon and author, he shares inspirational stories and advice that empower well being and spiritual growth. A professor of Neurosurgery at University of Arizona, Dr. Hamilton was promoted to Chief of Neurosurgery and became the Chairman of the entire Department of Surgery in 1998. 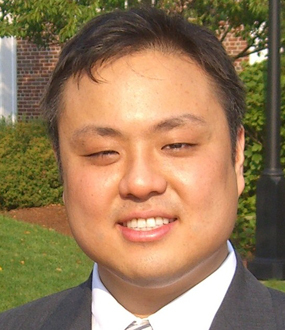 He currently holds a tenured professorship in Neurosurgery, as well as additional professorships in the Departments of Psychology, Radiation Oncology, and the School of Electrical and Computer Engineering. Allan Hamilton is also a consultant to ABC’s medical drama Grey’s Anatomy. His book The Scalpel and the Soul: Encounters with Surgery, the Supernatural, and the Healing Power of Hope was released in 2008 and has been translated into several languages. Dr. Hamilton has given more than three hundred public speeches and addresses. Dr. Hamilton has led more than a half dozen clinical research trials on brain tumors and achieved national prominence for his work in developing computer-guided methodology for safely guiding neurosurgical probes to targets deep inside the brain. 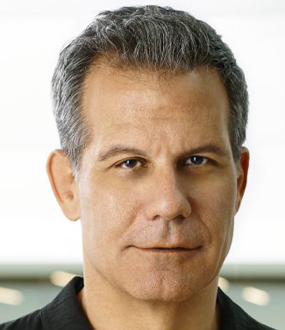 Allan Hamilton has appeared on television programs including MSNBC, CNN, PBS, and the Discovery Channel and has been featured in national newspapers such as the New York Times, USA Today, and Newsweek magazine. After studying art in college, which earned him a career as a janitor, Allan J. Hamilton, MD, FACS, went on to attend Harvard Medical School, and to become the chief of neurosurgery and chairman of the Department of Surgery at the University of Arizona Health Sciences Center. 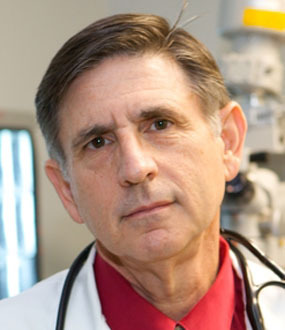 He currently holds a main appointment as a Professor in Neurosurgery as well as professorships in Radiation Oncology, Psychology, and Electrical and Computer Engineering Dr. Hamilton also is the Executive Director of The Arizona Simulation Technology and Education Center (ASTEC) at The University of Arizona College of Medicine. The recipient of several international awards for his groundbreaking work in the area of minimally invasive stereotactic neurosurgery of the spine, Dr. Hamilton′s research interests continue in the areas of emerging technologies. He has been involved in developing new polymers for in situ chemotherapy delivery for malignant brain tumors and looking at the further development of polymers that can carry multiple chemotherapeutic agents into the brain. 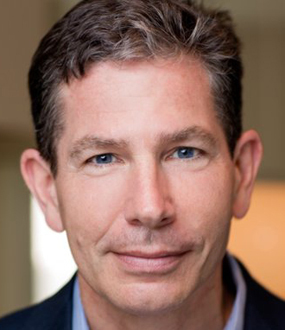 Dr. Allan Hamilton has been featured on National Public Radio, “CNN-Anderson Cooper’s 360,” and The Discovery Channel on a wide variety of medical topics in his areas of expertise. 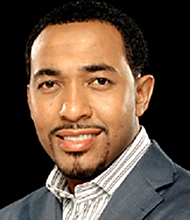 He has earned a reputation as a speaker who can discuss sophisticated medical topics in a manner that is accessible and understandable to the public. He has been a public proponent of re-establishing what he terms “intimacy at the heart of Modern Medicine” and a public critic against the escalating rate of medical errors in American healthcare. Dr. Hamilton serves as a Script Consultant to the popular television show “Grey′s Anatomy”, lending stories from his vast experiences as intern, resident and ultimately renowned surgeon. Dr. Allan Hamilton is a highly sought after speaker in the field of health, spirituality and wellness. A Harvard trained brain surgeon and author, he shares inspirational stories and advice that empower well being and spiritual growth. In this TEDx Talk, Dr. Hamilton, explores the emerging science of how our brains may be hard-wired to empower us with hope and the power of optimism to heal. Dr. Allan Hamilton has given over three hundred public presentations and speeches to both lay and professional audiences and is widely sought as a motivational speaker. His presentations are engaging and thought provoking as well as being humorous and uplifting. His rich experience of the spiritual core of people’s lives is made more compelling by his mainstream medical background. Dr. Hamilton exposes the crisis in the public’s lack of confidence and trust in the American Healthcare system. He discusses why medicine in the United States is spiritually ill, and why increasing numbers of doctors and nurses are leaving the medical field out of disgust and disappointment. He proposes that American Medicine needs to set about fixing itself the same way corporations need to reinvent themselves to stay successful and competitive. He offers concrete examples of where concentrated efforts can produce large reductions in error rates. Finally, he offers a simple but radical solution for patients and healthcare workers to forge new bonds based on mutual trust and fulfillment. Medicine and Emerging Technology: For Better or Worse? Dr. Hamilton has spent his entire medical career developing and applying emerging technologies in surgery, from computer guidance systems to virus-induced gene therapy. He explores the future directions that the newest, high-technology innovations may be taking, as well as the problems and promises they could hold for patients and physicians alike. Using examples drawn from the Hollywood screen to the battlefield of the Middle East, Dr. Hamilton analyzes how technology created to address the problems of the present can evolve to pose future unexpected results – both good and bad. From the humanistic potential of alternative medicine, to the efficiency of medical records embedded in implantable chips… From the elimination of surgical error by robot, to the cold culling of patients’ prognoses by computer… Dr. Hamilton delivers an entertaining, tantalizing, and, occasionally, alarming look at what may lie ahead for all of us in the healthcare system. Dr. Hamilton explores the history behind some of medicine’s greatest scientific breakthroughs and how these discoveries eventually emerged onto the landscape of medical care. He discusses the financial costs of delivering “cutting edge” medical technology, the political issues surrounding inequities in healthcare access and availability, and, finally, the broader ethical issues of delivering better global healthcare at reduced costs. Ten years ago Dr. Hamilton had a notion that doctors would be far more respectful about their body language and bedside manners if their patients all weighed 1200 pounds. He developed an entire curriculum for medical students to help them learn non-verbal communication skills by working closely with horses. Dr. Hamilton’s program had now been replicated at nearly a dozen universities around the world. In this moving presentation, Dr. Hamilton shares the lessons he has learned and shows videos demonstrating the powerful “voice” of our body’s language. The accidental discovery of a mirror neuron system (MNS) in the primate brain was made in 1995. Dr. Hamilton discusses the significant role that mirror neurons play in our everyday life. We literally feel the pain of others. Dr. Hamilton elucidates the neuro-physiological basis for empathy and compassion. The MNS has important implications about humanity’s appreciation for art, architecture, and literature. It may explain why we love or hate; why we find a soul mate, or seek an archenemy; and why, as a species, we’re capable of great acts of altruism or atrocity. Does the Key to Spirituality Lie in the Right Hemisphere of Our Brains? Discover why the non-verbal right hemisphere of the brain may hold the key to spiritual fulfillment for each of us. Dr. Hamilton begins by reviewing the evolution and biology of brain development. Was the success of the human species as the master predator and consumer of our planet achieved at the expense of spiritual fulfillment and emotional well-being? Did the emergence of language lead to the isolation of an individual consciousness? After providing insight into these questions, Dr. Hamilton reviews skills we can practice to access our right hemisphere’s potential and rediscover our birthright to feel communion with all of creation. "I Play One on Television”—the Medical Profession as Depicted in TV Medical Drama, or How Did We Get from “Marcus Welby” to House in Fifty Years? For the very beginning of television, organized medicine understood the power of this new medium to shape the public’s perception about physicians and healthcare. Still, TV medical dramas have evolved from the relatively idealistic personae of Drs. James Kildare and Ben Casey in the 1960’s to the currently more realistic, gritty presentation of characters in current TV dramas such as “Grey’s Anatomy,” “CSI” shows, and “House.” As a medical script consultant to both “Grey’s Anatomy” and “Private Practice,” Dr. Hamilton reviews how and why the depiction of doctors and medicine has evolved so dramatically from 1950 to the present. This workshop will make participants comfortable with developing patient histories from their own experience and applying them to several hypothetical story arcs as set by TV series producers and writing teams. Examples from current and past television dramas will be reviewed. Dr. Hamilton discusses the insights he has gained as a writer of two books and as a script consultant for two hit TV shows. His secrets wouldn’t be secret if he told them all here. Suffice it to say, he covers writer’s block, writer’s envy (hating authors far more talented than oneself), evaluating the competition, and waiting for your manuscript. He explores developing a marketing strategy for your book, hard copies and e-books, internet marketing, writing blogs and righting wrongs, facing up to Facebook, birding and Tweets, why publicity tours are monuments to the past, reading to write and writing to read, writing so it sounds right (write), and the art and craft of story-telling. From Round Pen to Boardroom: Learn to Harness the Power of Non-Verbal Communication from the Masters of Body Language—Horses! This course has been taught to Fortune 500 corporations. The program focuses on how to ensure that we demonstrate integrity; namely, that our words and our bodies send the same message. This course focuses on non-verbal language that anyone can invoke to make his or her communication more effective and powerful. Eighty percent of human communication is non-verbal, and yet we spend almost all of our attention on the spoken language. This course covers non-verbal cues during casual conversation, in public presentations, in interviews, and working with team members and co-workers. The course also focuses on communication situations were non-verbal cues are vital: i.e., when someone is lying, when breaking bad news, when trying to inspire listeners. Horses are the masters of non-verbal communication. You will come away amazed at how your abilities will be developed and honed to new, almost unbelievable levels after you complete this course. Dr. Hamilton outlines five ways to cultivate the practice of hope. He explains why patients and families must overthrow statistics, get beyond prognoses, and find a path to recovery. He discusses the need to drop our habits of despair. Illness can facilitate a freedom that can take us from physical breakdown to spiritual breakthrough. Dr. Hamilton provides guidelines for creating personal healing rituals. Finally, he advises patients and their families to help transform their medical providers into miracle makers. Based on experiences with his own patients, Dr. Hamilton explores: (1) Why do medical personnel rely on laws of science to explain natural phenomena, but become uneasy when supernatural issues intrude into healthcare? (2) Why every patient and practitioner must learn to respect and harness the supernatural potential of hope; and (3) The paradox between the localization of the mind versus consciousness. Additionally, Dr. Hamilton explains twenty rules by which patients and physicians can learn to live and thrive. When Are Doctors Ready to Talk About It? Drawing from his personal journey from janitor to Harvard-trained physician, Dr. Hamilton investigates spiritual and emotional issues elucidated by the field of medicine: Do dreams play a vital role in our lives? Do near-death experiences tell us about what life may hold after death? Can hope change the course of a patient’s recovery? What can we do to emotionally and spiritually enhance our own recuperation? He concludes with an exploration of why American Medicine is on the threshold of a spiritual, holistic revolution. Dr. Hamilton outlines the ten important lessons his patients have taught him about getting better: (1) Take a Spiritual Inventory, (2) Cultivate Your Garden, (3) Make Amends, (4) Be Grateful, (5) Devote Yourself to Your Passions, (6) Connect with Nature, (7) Reinvent Yourself, (8) Pace Yourself, (9) Celebrate Yourself, and (10) Go Wild. Dr. Hamilton discusses each principle, and illustrates them with stories inspired by real life patients. He presents practical techniques to convert these principles into habits. Dr. Hamilton explores the erroneous prevalent perception that scientific advancements and spiritual pursuits are incompatible in 21st century healthcare delivery. Quite to the contrary, Dr. Hamilton advocates that a holistic integration of spirituality and science is precisely what is needed in modern medicine. He describes real-life stories-from his own experiences as a brain surgeon--to illustrate where these two forces come together. Incorporating the power of patients’ emotional and spiritual resources enhances their care. The impact of negative emotion on the immune system is investigated, as is the role of positive perception on the placebo effect. Through out the presentation, Dr. Hamilton punctuates his presentation with moving, inspiring, and, sometimes, funny stories drawn from the magic of real life. only transmitted the human dilemma of being a patient but also a physician. what may be possible for humanity. important lessons we can each learn from them. for cancer patients, both adults and children, caregivers and staff. presentations to the level of his students. We have had a multitude of people present at our annual health fair. sharing himself and his spiritual journey. 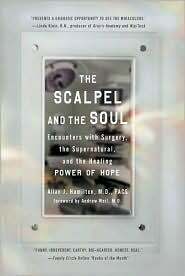 Based on thirty years experience as Harvard-educated brain surgeon, The Scalpel and the Soul: Encounters with Surgery, the Supernatural, and the Healing Power of Hope tells the stories behind remarkable patients and the moral and spiritual lessons they can teach everyone. In this book, Dr. Hamilton shares a rare glimpse of how the spiritual and the supernatural manifest themselves even in the high-tech world of 21st century intensive care units or operating rooms. The Scalpel and the Soul explores how premonition, superstition, hope and faith not only become factors in how patients feel, but can change the outcomes as well. The stories within this book validate the spiritual manifestations physicians see every day. The tales empower patients to voice their spiritual needs in medical situations. When the life is threatened, the soul can exert mysterious powers. Embracing that knowledge can help anyone, patient or caregiver, to cope with difficult and challenging times.